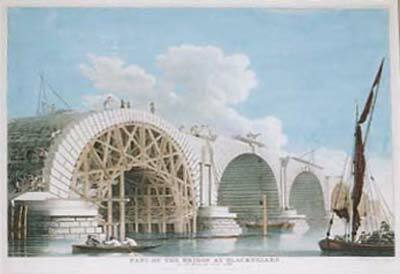 Part of the Bridge at Blackfriars, As it was in July 1766. Hand coloured copperplate engraving, published in London, 1777 by John Boydell. Plate size 21 x 16 inches.